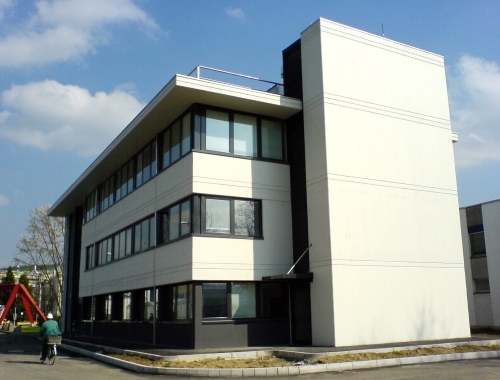 The office buildings described are two of the various projects undertaken and realized for the CIBA chemical works, the property of which has recently been transferred to the company Basf. 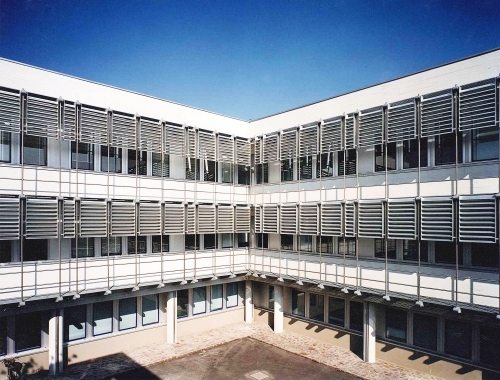 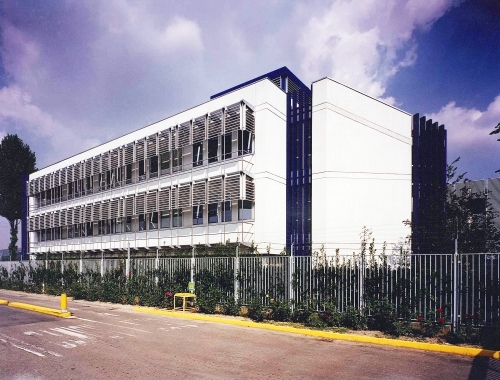 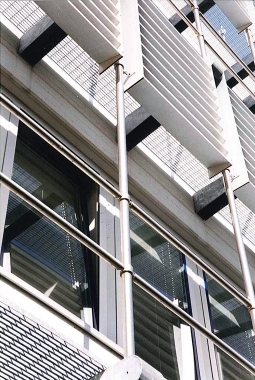 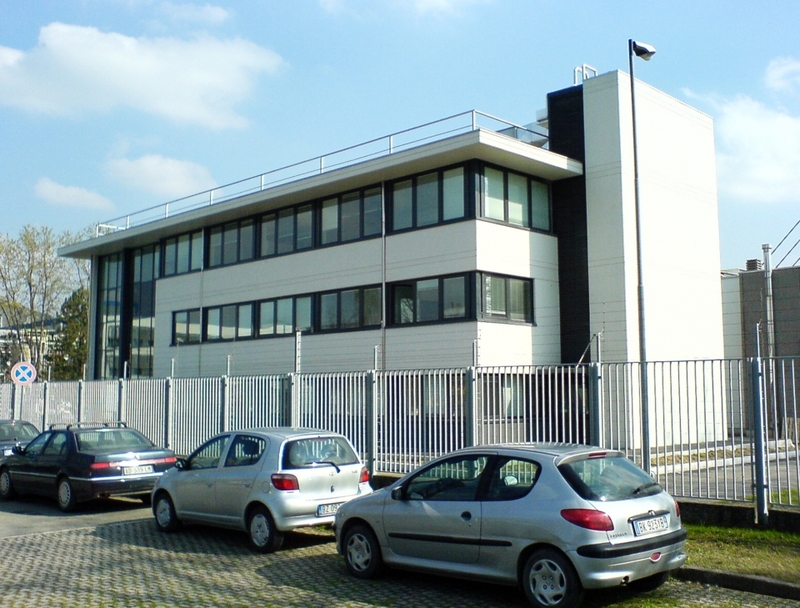 The earlier three storey building located by the main entrance was completed in 1996 and is characterized by an external metallic facade which facilitates maintenance of the exterior of the building and provides sun shading to the offices within. The second structure completed in 2006 is also three storeys in height and contains both managerial and open space offices.